Europe's persistent downturn is showing few signs of abating. The decline in business activity in the 17-nation eurozone slowed in May, but surveys published Thursday suggest the region's longest recession will extend into another quarter. Financial data provider Markit said its flash reading of eurozone purchasing managers' sentiment rose to 47.7 from 46.9 in April. That was slightly stronger than economists were expecting but still represents a decline in activity for the 16th consecutive month. "Weakness remains broad-based, with Germany stagnating, France contracting steeply and the rest of the region also clearly entrenched in an ongoing downturn of worrying severity," said Markit chief economist Chris Williamson. Companies in manufacturing and services were cutting prices in the hope of boosting sales, with little apparent effect. Markit's composite PMI is based on survey data collected from a representative panel of about 5,000 companies based in all four of the eurozone's biggest economies and a few others. The European Central Bank's decision to cut interest rates to a record low of 0.5% this month had done little to improve the outlook, and the eurozone economy looked set to contract this quarter at a similar rate to the decline seen in the first three months of the year, Williamson said. Germany's services sector saw the steepest decline in new business since September 2012. And while new factory orders were broadly stable, new export work in Europe's biggest economy fell for the third month in a row. 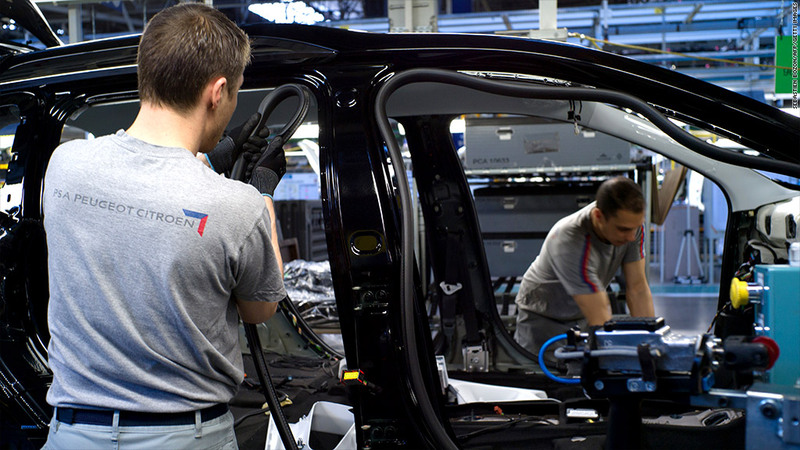 Private sector output in France, which slipped back into recession in the first quarter, continued to fall at a marked rate in May. Companies across manufacturing and services found no relief from the slump. "PMI data highlight continued pressure on employment and operating margins, as the difficult business climate facing French companies persists," noted Markit senior economist Jack Kennedy. Eurozone gross domestic product shrank by 0.2% in the first quarter of the year. It hasn't grown since the third quarter of 2011. The prospects of a second consecutive year of recession in the eurozone and tumbling inflation prompted this month's interest rate cut, and more action by the ECB could follow. President Mario Draghi has said the bank stands ready to act again if necessary.